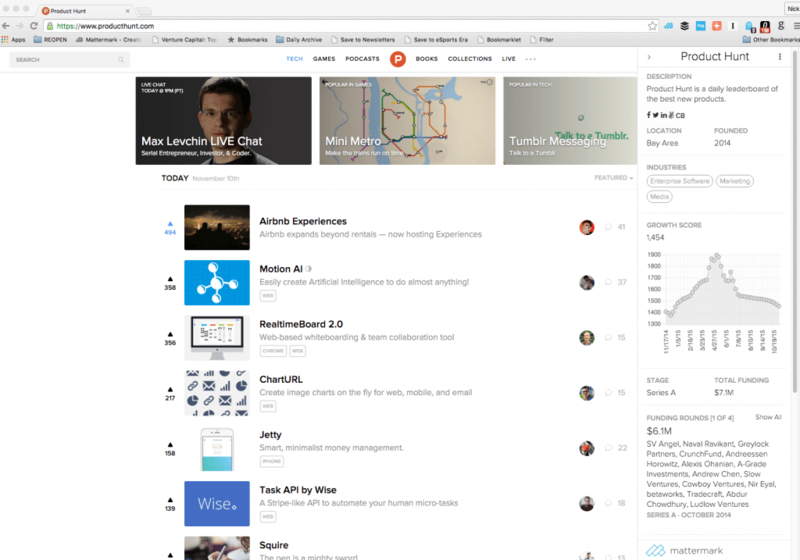 View Key People – CEO, Co-Founders, Executives, etc. We now display tabs for companies and investors so it can be easier for users to find exactly what they are looking for. Over time, we will also work to make the result set/order better and better, but we think this will be a big step in the right direction. You can use keyboard shortcuts – up/down arrow keys, tab between startups and investors, and press enter to search. When was Airbnb, Uber, Zenefits, or Slack founded? Now with more than 16,500 new founding dates added to company profiles, you can add the Estimated Founding date filter to your search to surface expanded results. 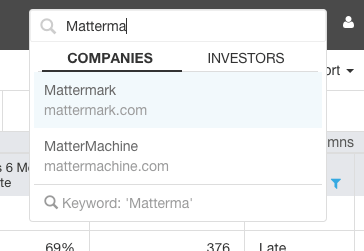 Last week’s product update featured our iOS 9 Spotlight Search integration with Mattermark iOS, a way to calculate estimated startup burn rates, added Shared List Exports to CSV, and more.